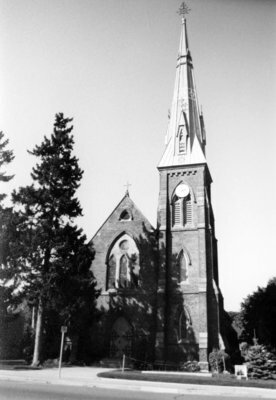 A black and white photograph of All Saints' Anglican Church. View is of the front of the church from Dundas Street. All Saint's Anglican Church, October 2005, Carl Ferencz. Whitby Archives A2013_017_006.